Nothing wreaks havoc on an exercise routine like a business trip or vacation. Getting back into the swing of things after a few days off can be a challenge, so stay on track by not allowing yourself to slack off in the first place. Pilates is such a great method of exercise because it's easy to do on the go and the optional pieces of equipment it may require are super portable. There's no reason to deviate from your Pilates routine. Here are some ways to stay in shape while you're on the road. Bookmark any of our Pilates routines, like the quick ​workout. All of the workouts are mobile-friendly, so give them a try on your smartphone or tablet. If you won't have Internet access while you're away, write down an exercise routine beforehand or print out this list of classic Pilates mat exercises. There is no piece of equipment you must have to do Pilates, which is part of the appeal, but packing along a small piece or two of equipment can be a great motivator, so long as it's not an inconvenience to fit inside your suitcase. There are plenty of small pieces of Pilates equipment you can easily take with you. The Pilates magic circle, also known as the Pilates ring and exercise ring, adds an infinitesimal amount of weight to your luggage and hardly takes up any space. The great thing about packing a piece of equipment like the magic circle is that it raises the commitment factor. Plus, magic circles are so great for targeting specific muscle groups. If you have a mat that's thin, lightweight, and/or easy to roll up, it might be worth taking with you. I've been known to throw a hotel towel down on the floor to serve as a makeshift mat, which works well, but you might prefer having your own mat. Out of all the packable Pilates equipment, the one drawback of traveling with an exercise band is that they are so darn easy to ignore. Unlike a mat or magic circle, a fitness band will disappear into the bottom reaches of your suitcase. Nevertheless, if you're in the habit of doing your Pilates workout with bands, they are a great piece of packable equipment and hardly take up room in your luggage. It's so easy to download a Pilates app or toss a Pilates DVD or book into your bag. Since I tend to get bored easily, I usually take two. I recommend looking for a Pilates DVD or app that will challenge you. You won't be bored and you can spend your trip getting to know it. As Pilates grows ever more popular, it's becoming easier to find Pilates classes pretty much anywhere. With a little perseverance and research, you should be able to find a class without a problem. If you're staying at a hotel, ask the concierge if they know of any nearby studios. Studios almost always welcome drop in students; it might cost a dollar or two extra, but trying out a different class is such a great way to learn new things and get a new perspective. If you can't find a Pilates class nearby, there are plenty of great online Pilates classes you can take advantage of at your convenience. 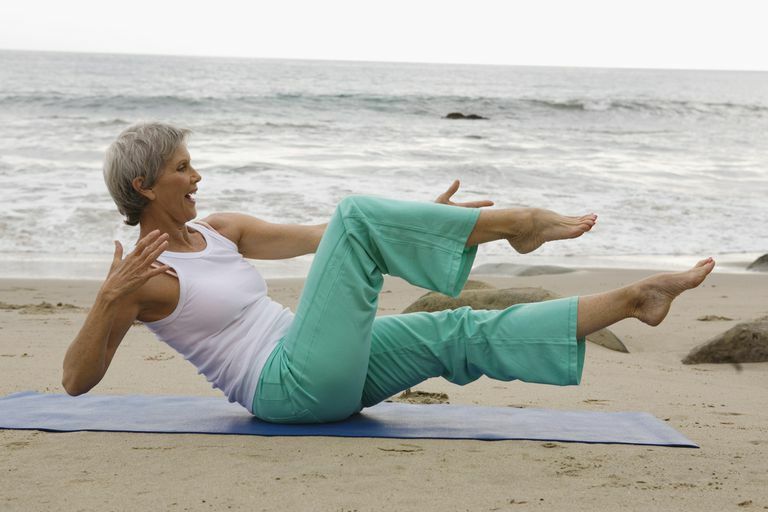 Are You Missing the Pilates in Your Pilates Workout?